Post and beam construction is a building method that passes on dimensional lumber in favor of heavy timbers. 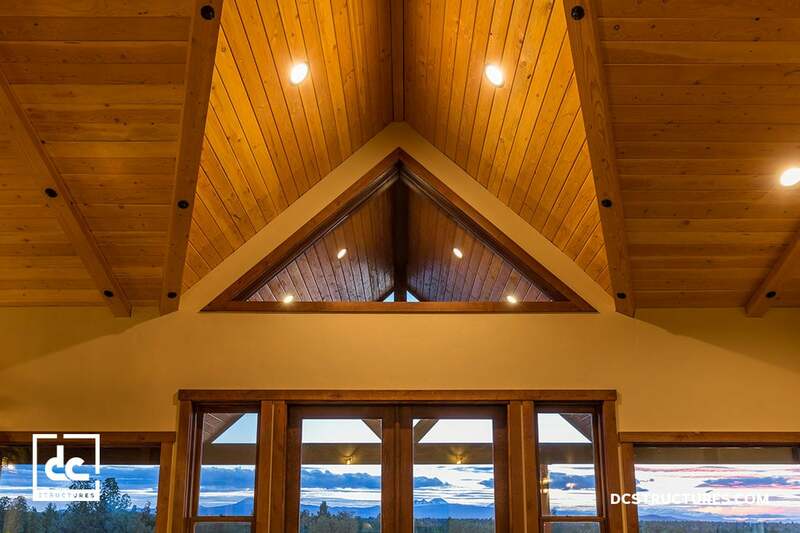 The use of heavy timbers reduces the need for load-bearing walls, thus creating dramatically open interiors that are both eye-catching and comforting. 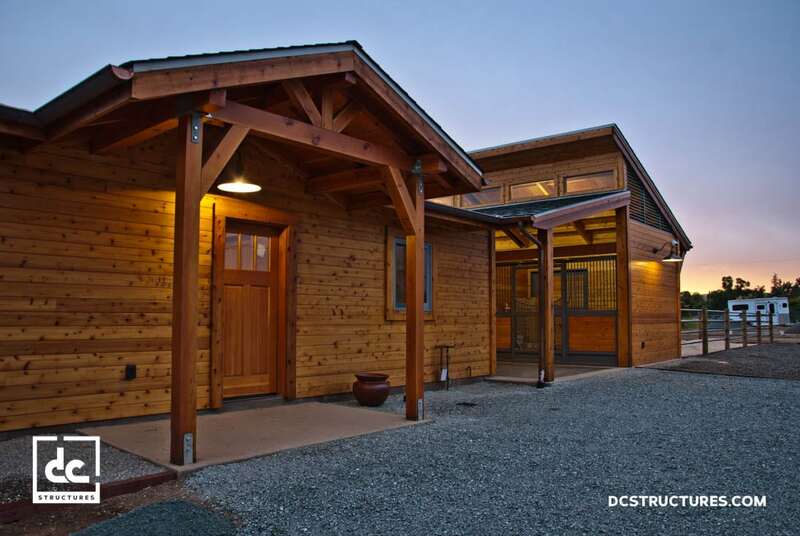 This construction style is celebrated for its beauty, longevity and quick assembly. 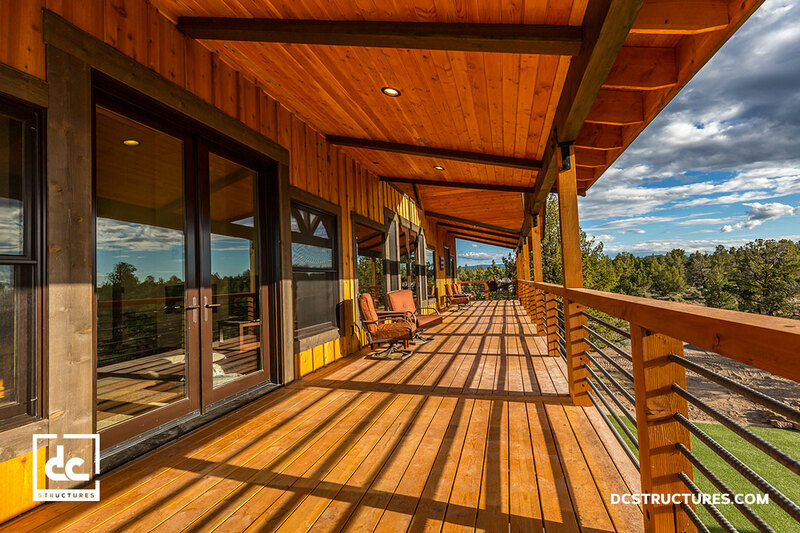 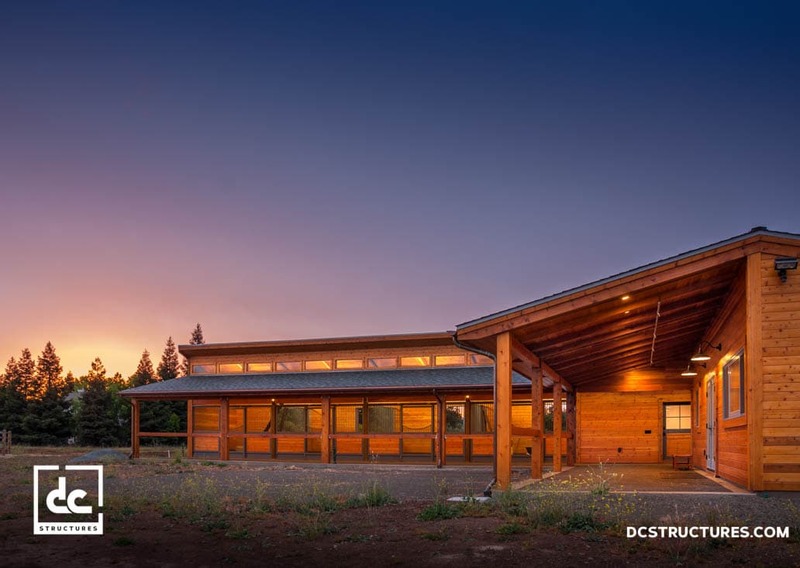 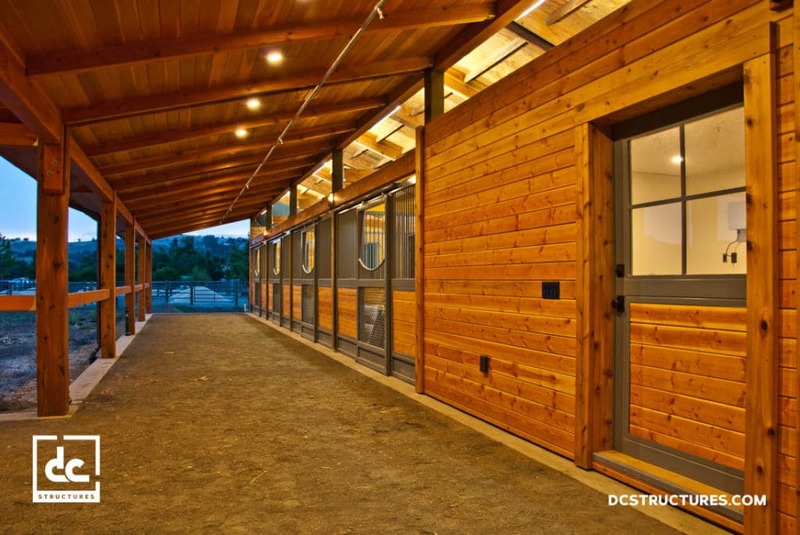 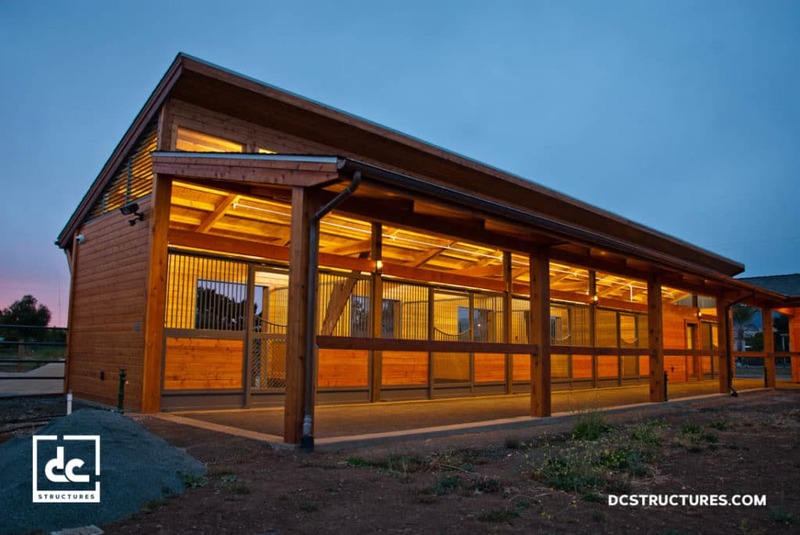 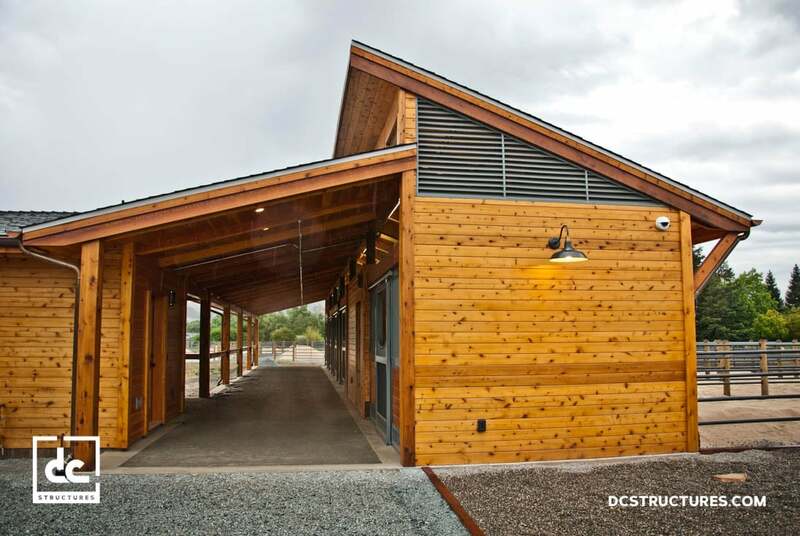 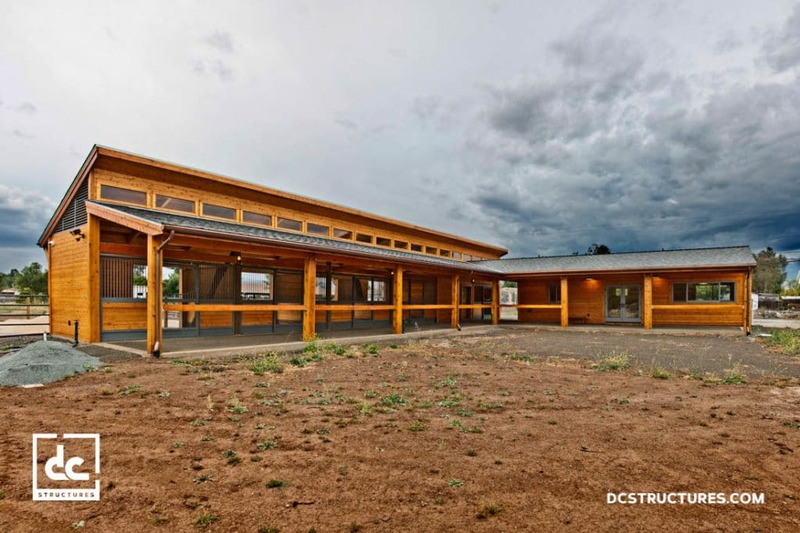 The timbers used in post and beam buildings are never chemically treated, meaning the design of the space can be centered around the natural beauty of the lumber. 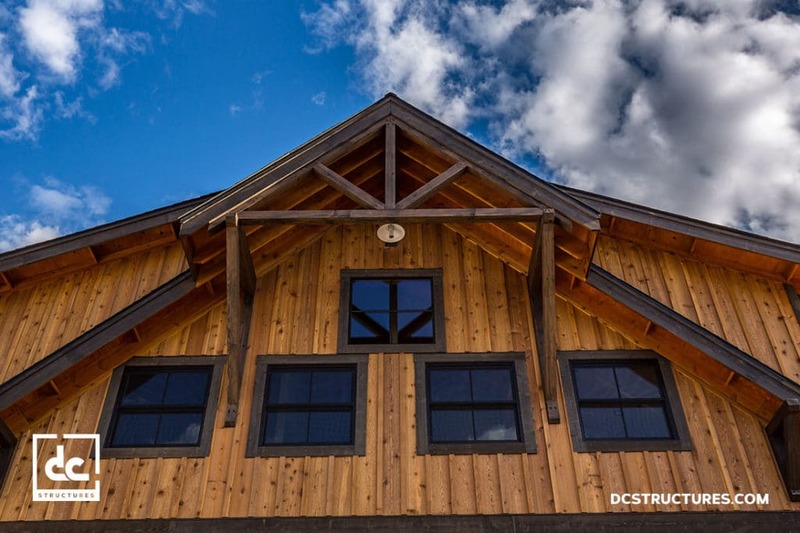 Wood homes or wood barns that are constructed using the stick framing method are prone to rotting and warping, and must be covered with drywall to hide the ugly effects of chemical treatments to the posts. 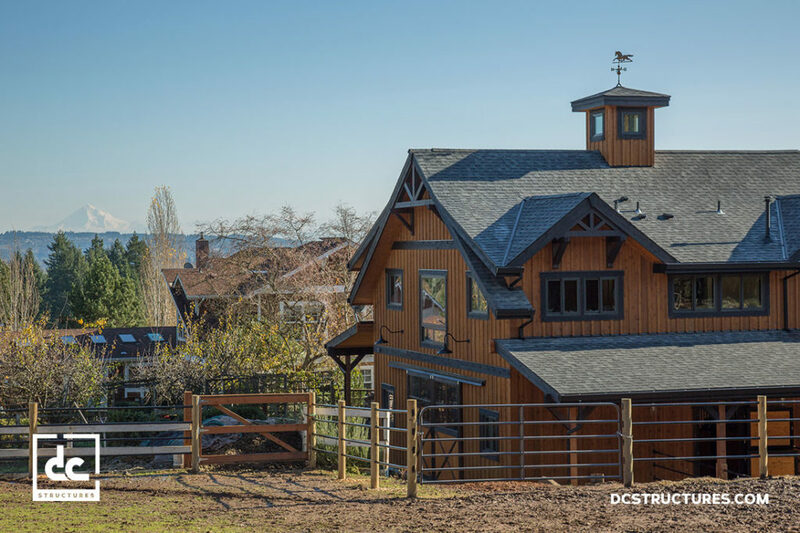 Post and beam barns and barn-style homes will last for 100 years or more if given proper upkeep and attention over time. 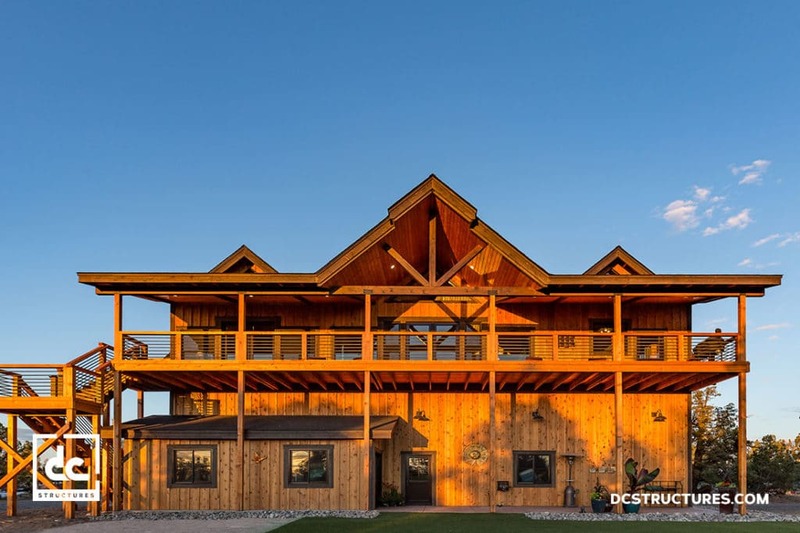 The structural integrity of a wood frame barn or a post and beam house means they are often the last buildings standing in the wake of a natural disaster. 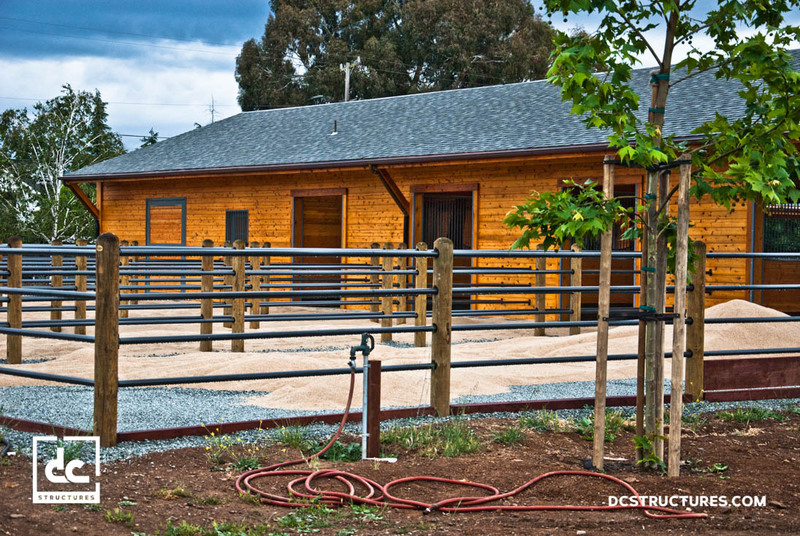 Barn construction is made easy with the post and beam method. 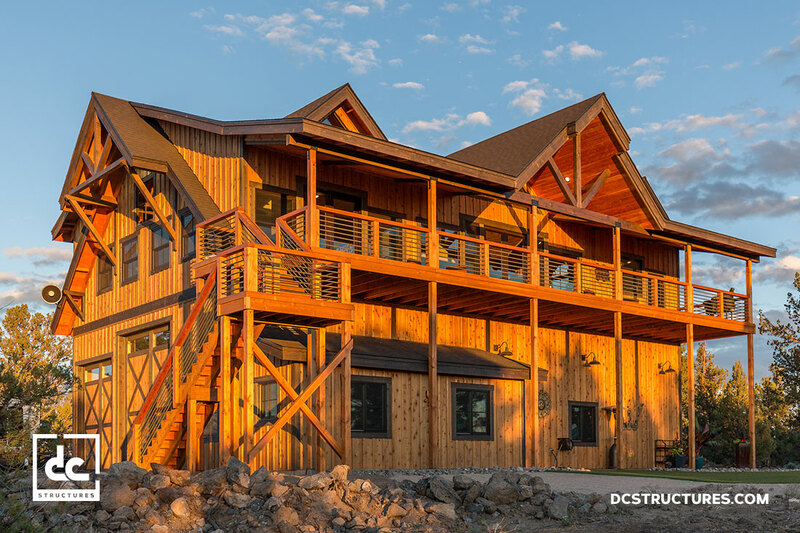 DC Structures’ innovative line of kits relies on post and beam framing to make the assembly of your structure fast, efficient and without complication. 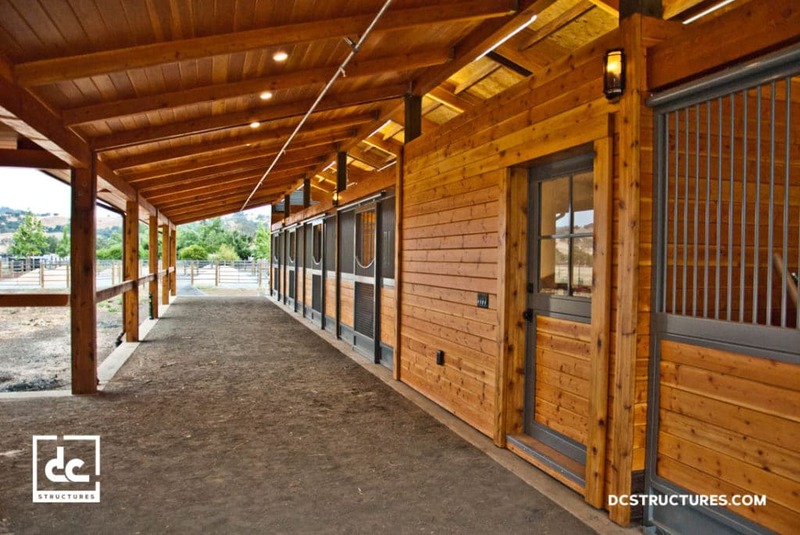 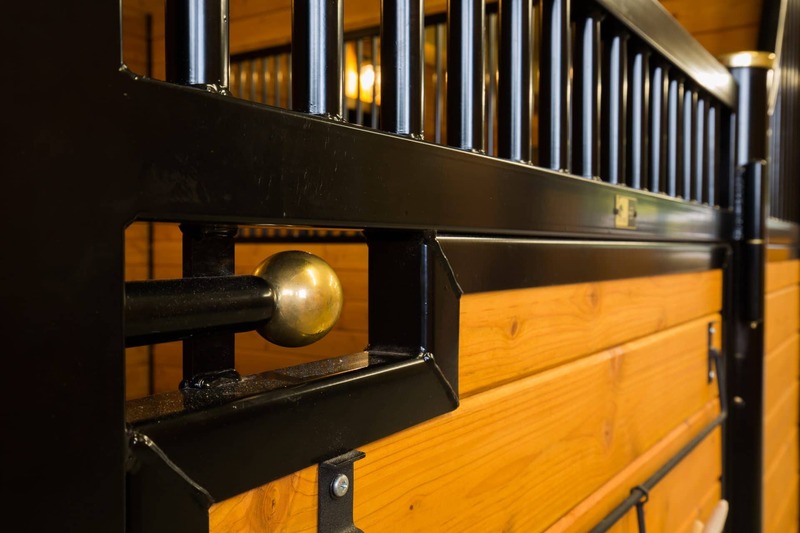 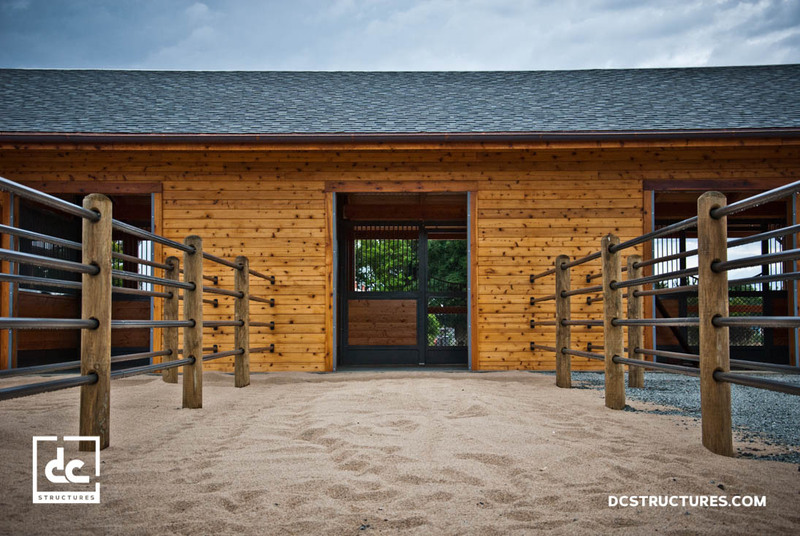 Our builder-friendly post and beam barn plans make your project run more smoothly, as we offer contractor support throughout the duration of your build. 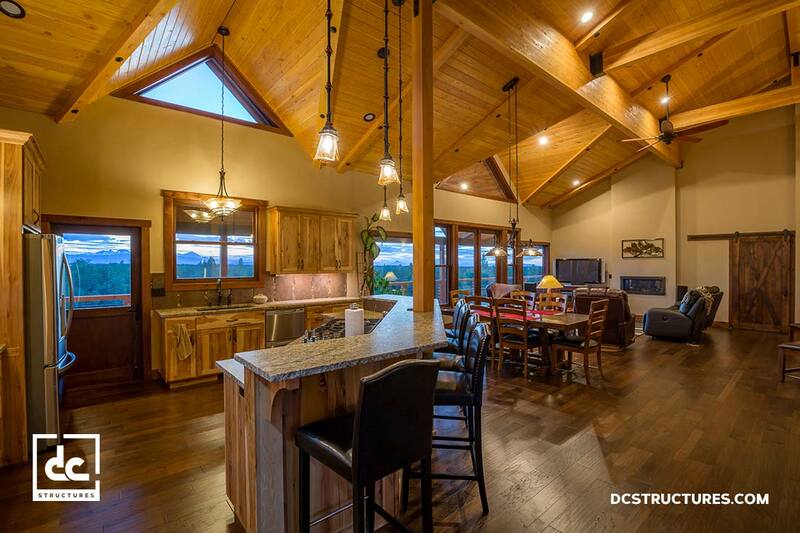 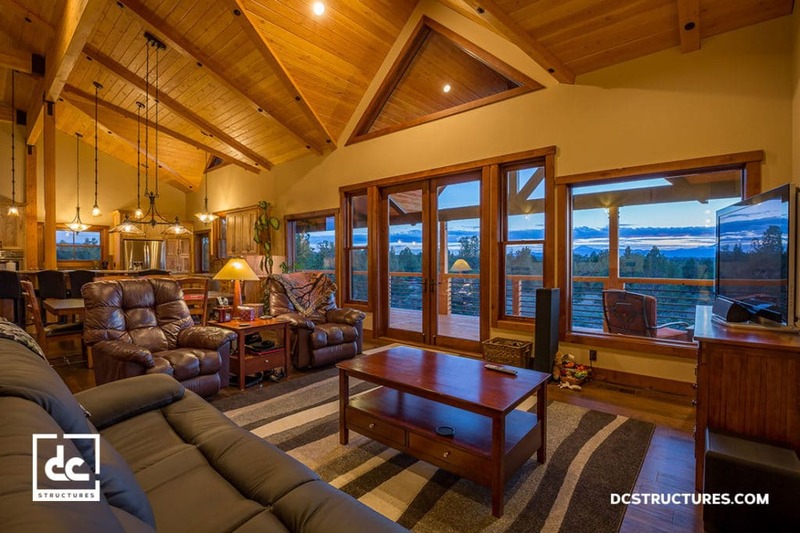 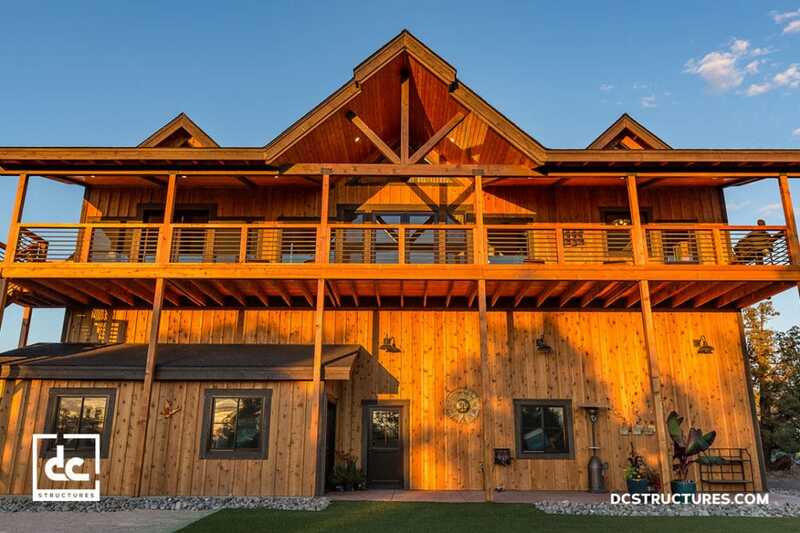 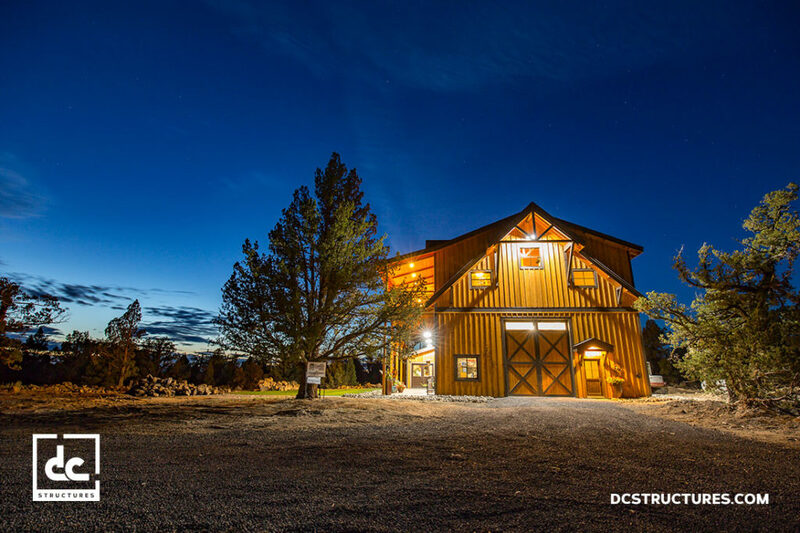 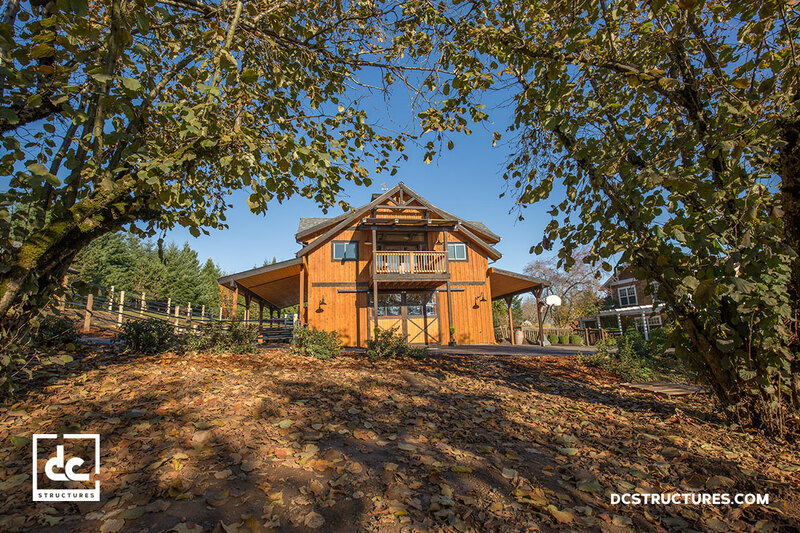 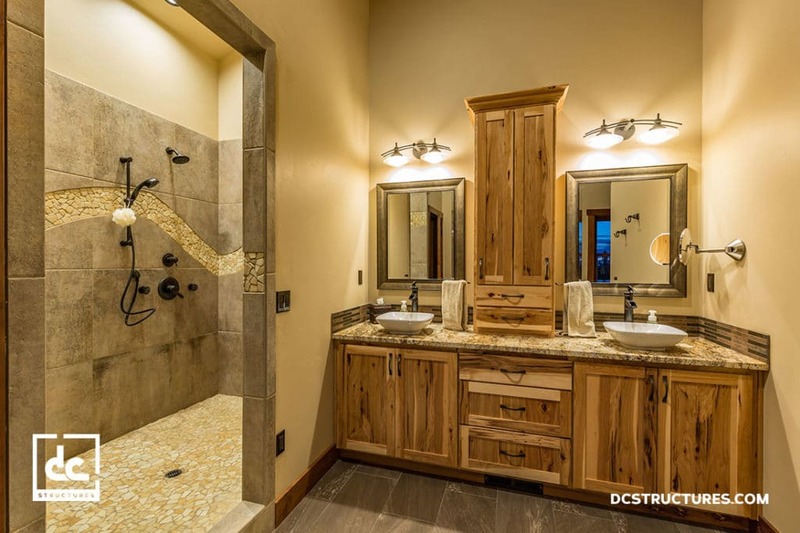 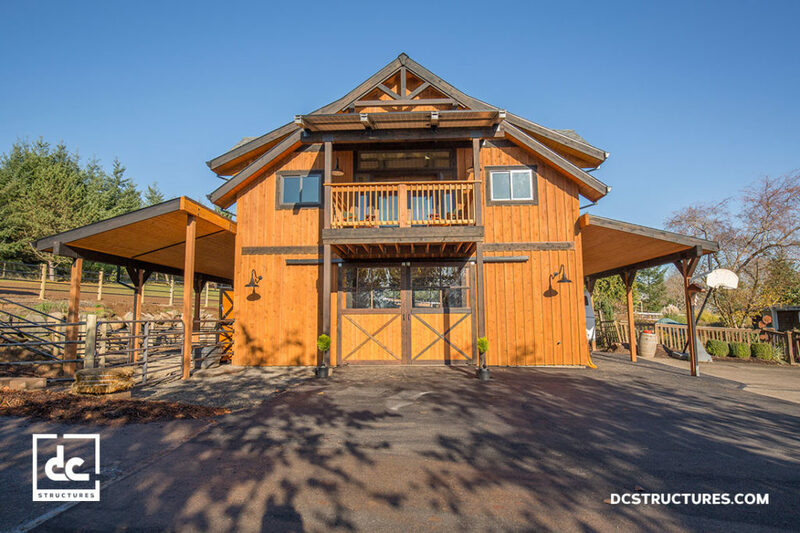 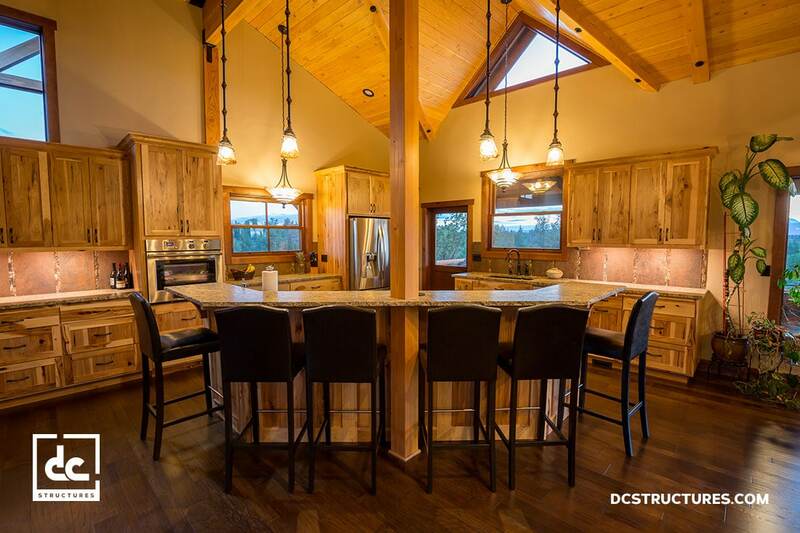 DC Structures offers post and beam home kits, wood barn kits and other other kind of timber frame building you might need. 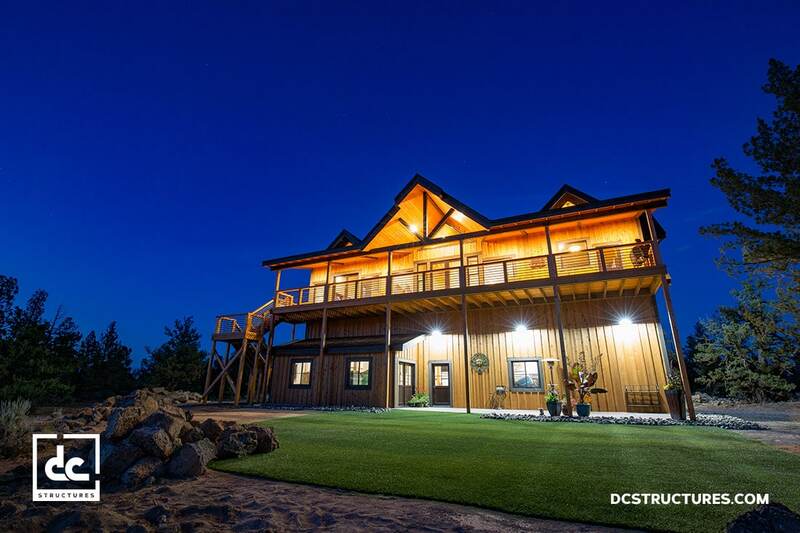 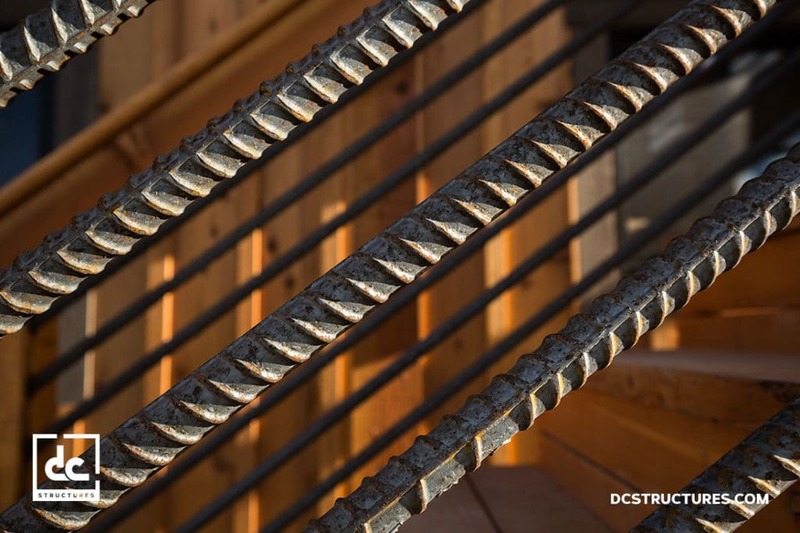 The post and beam kits from DC Structures are both flexible and functional, and can be easily modified to suit your specific lifestyle needs. Whether you’re looking for a post and beam garage, a wood frame house or a timber frame barn, we’ve got a kit for you. 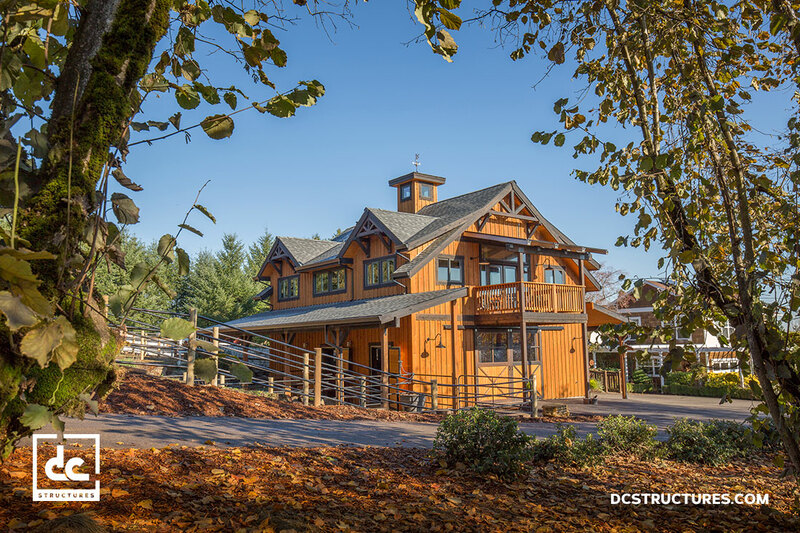 This energy-efficient apartment barn was designed using the durable and long-lasting method of post and beam construction. 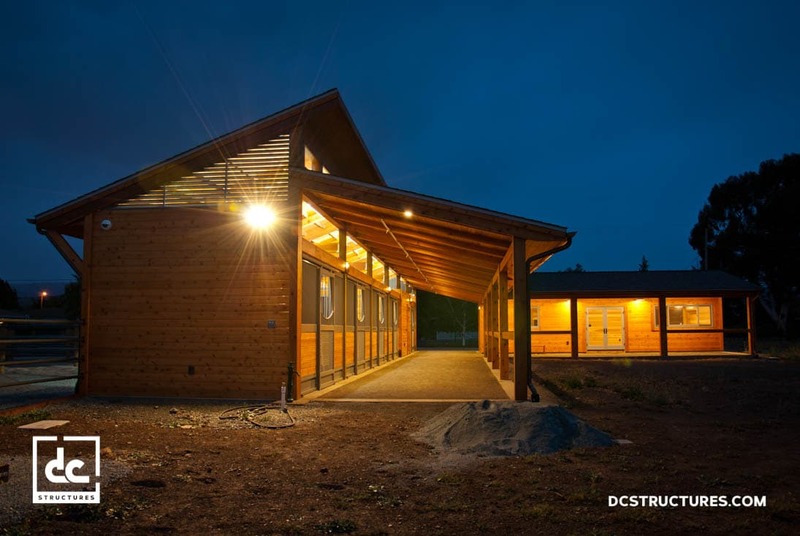 Sustainable upgrades include skylights to optimize natural lighting, and a solar panel and electric car charging station to cut down on energy expenditure. 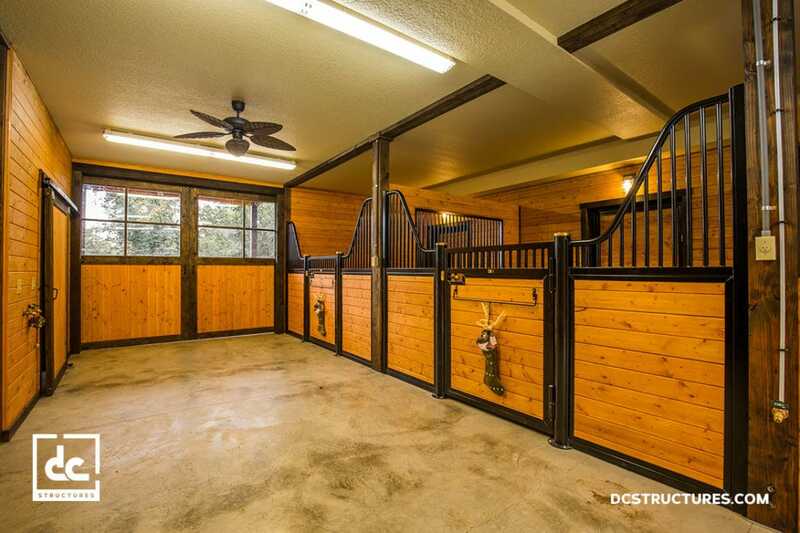 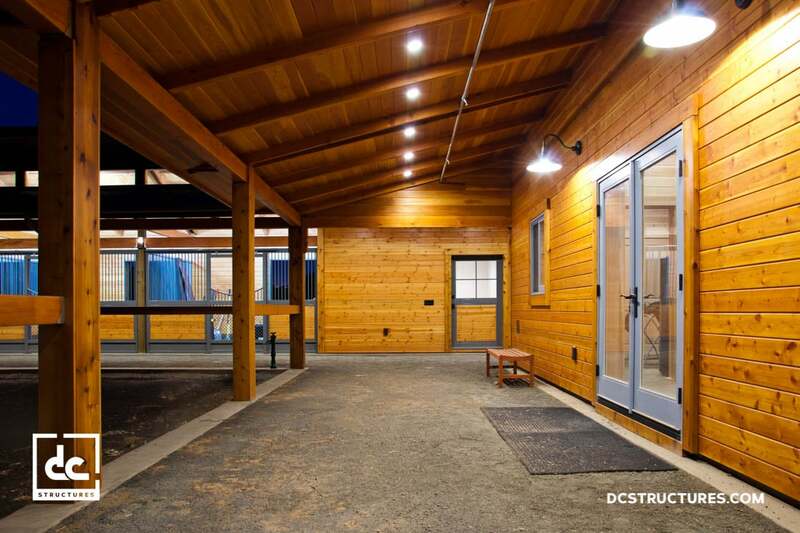 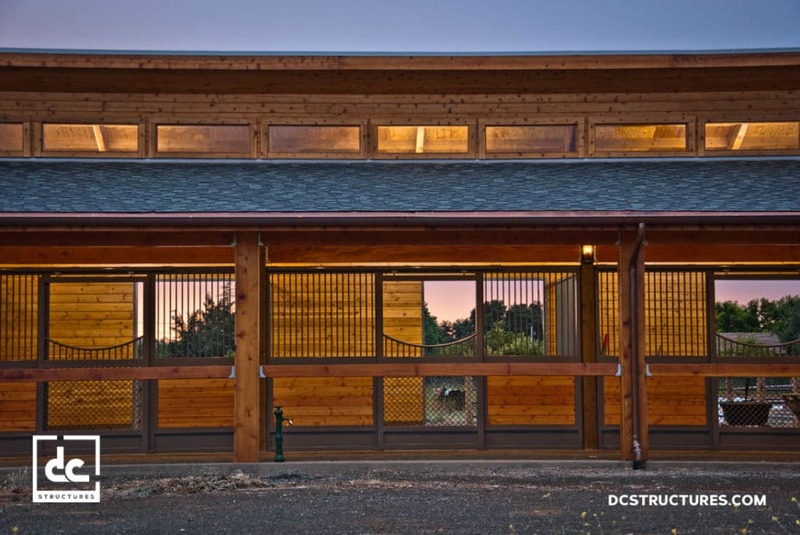 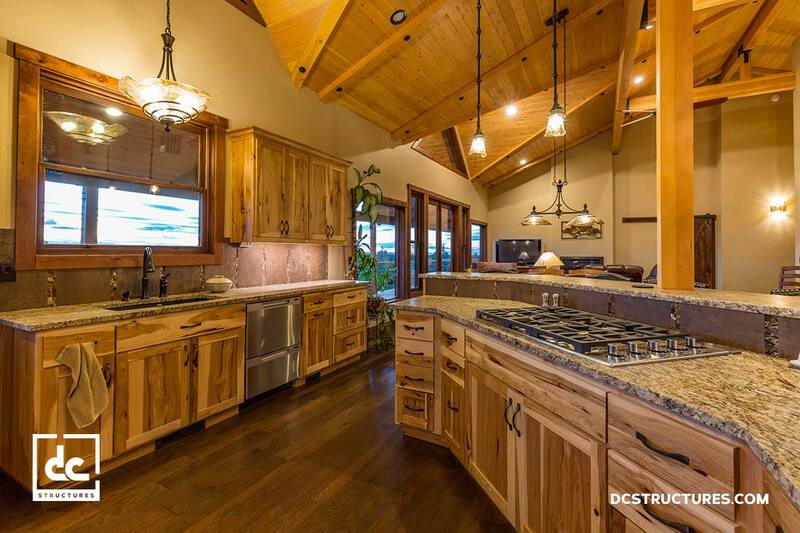 This clerestory wood frame barn features five horse stalls along with all the necessary equestrian amenities. 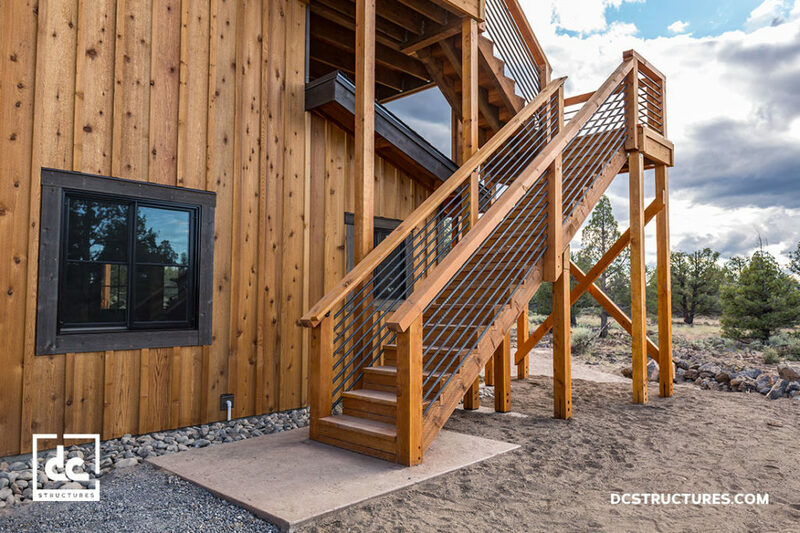 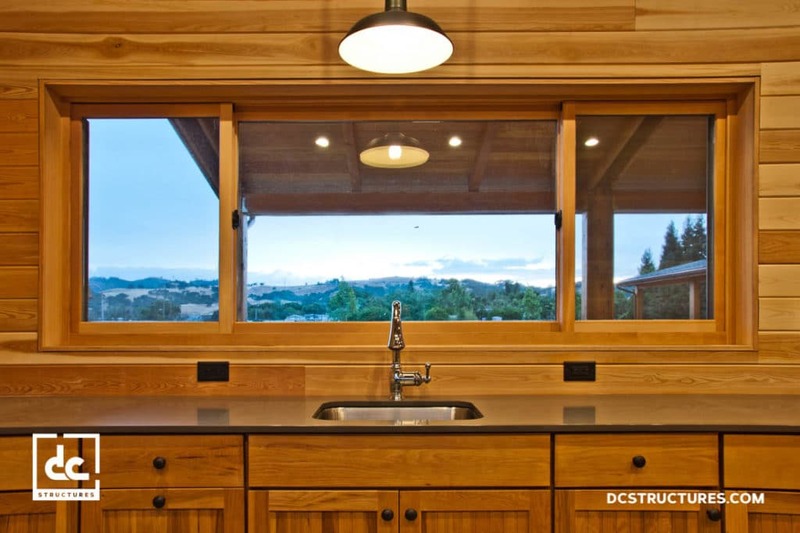 Starting from a Brightwood 48′, this modified post and beam kit has an open-air design that optimizes natural ventilation. 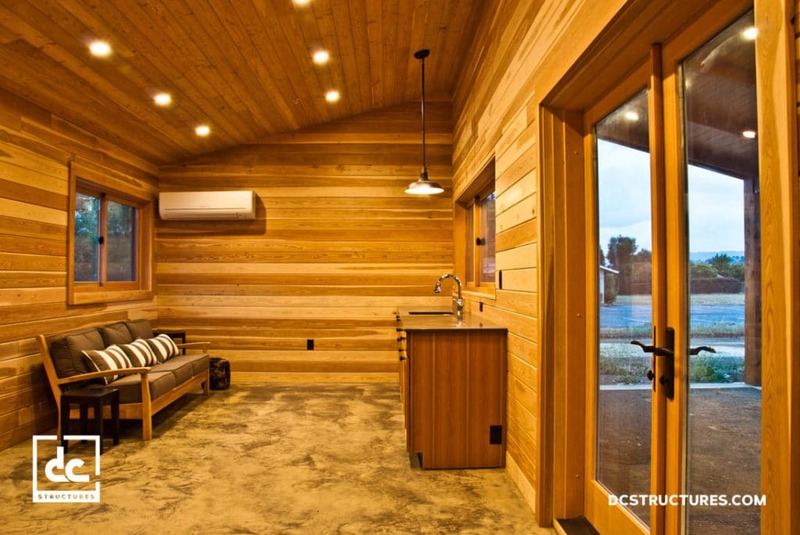 This post and beam garage with living quarters started as an Oakridge 60′ apartment barn. 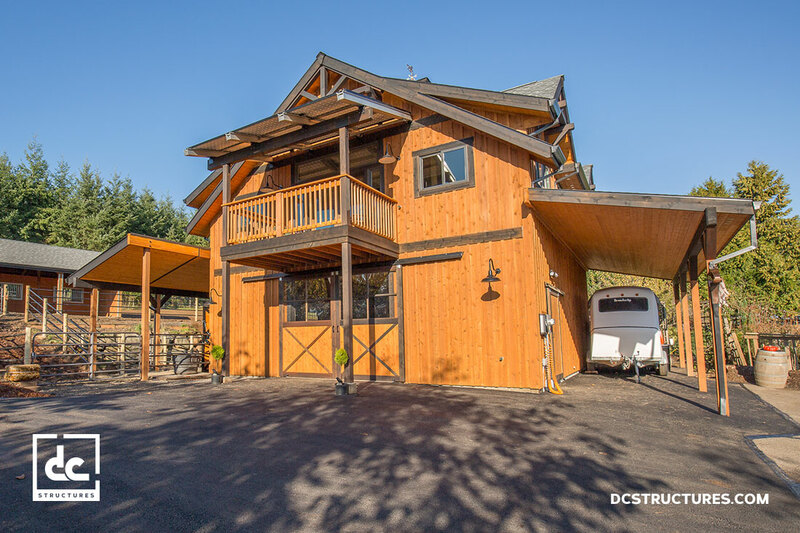 With high-ceiling RV storage on the ground floor and a luxurious two-bedroom living space upstairs, this functional and attractive structure is a winning combination of hobbies and home. 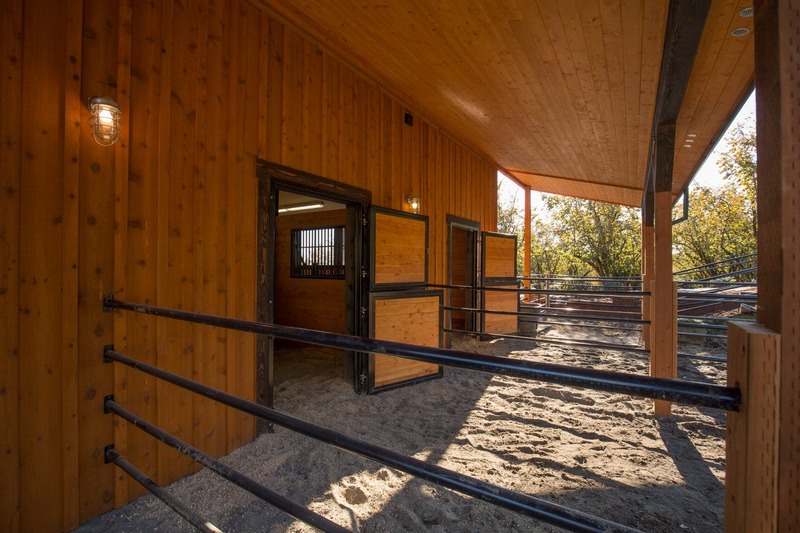 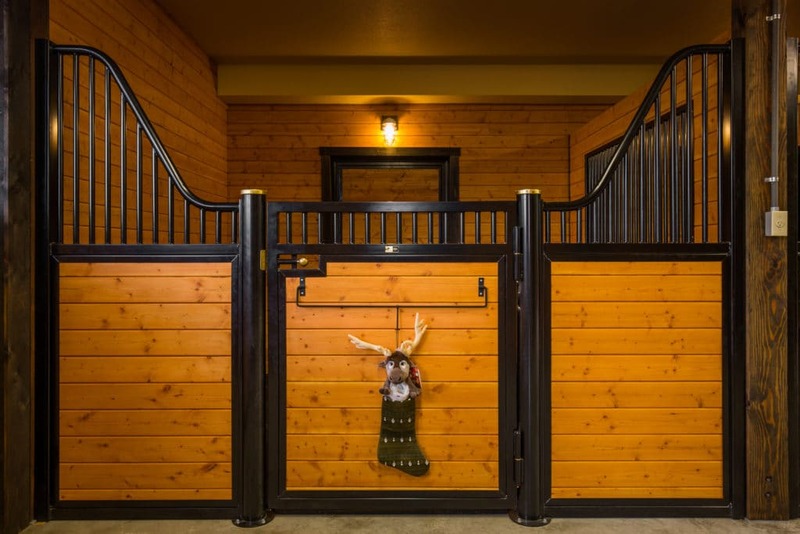 Ready to take the next step toward your dream barn? 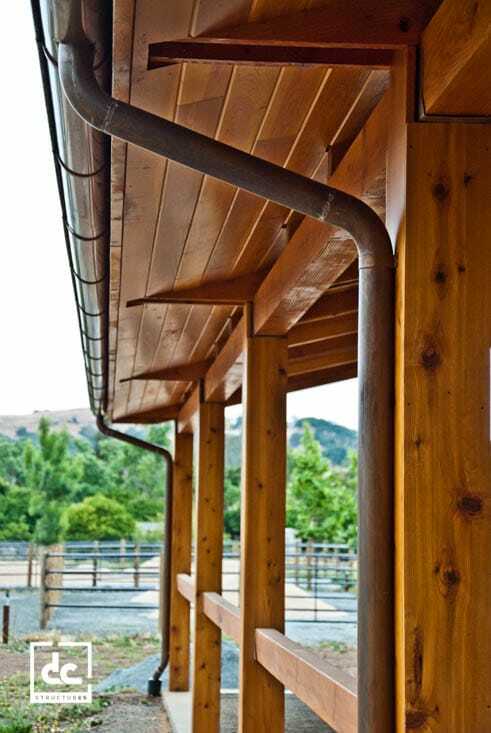 Our kits are designed using the reliable method of post and beam construction. We take your visions and turn them into plans.